are there any fursuit makers that make smaller heads? - fursuits, plushies, and costuming - Furtopia | Family Friendly Furry Forum and IRC Chat! with most fursuits iv seen the head while not too large, seems a bit larger than a human's head. if i ever do end up getting a fursuit in the future i am hoping on getting a realistically proportioned design and the head is kinda one thing i pay attention to the most. i am wondering if anyone know of any fursuit makers that are experienced/are able to create good looking fursuits that the head is a more realistic size. one thing that i defiantly want to avoid is the heads that are pretty clear that a human's head is there (usually a result of the forehead to muzzle is too vertical). any links or names of fursuit makers like that would be helpful. thanks for reading. Re: are there any fursuit makers that make smaller heads? So in other words, you don't want a fursuit head that has a lot of foam and other materials underneath to create big cheeks or other features. You want something more "form fitting", right? If you're looking for a more realistic and proportional head, be prepared to pay extra $$$. 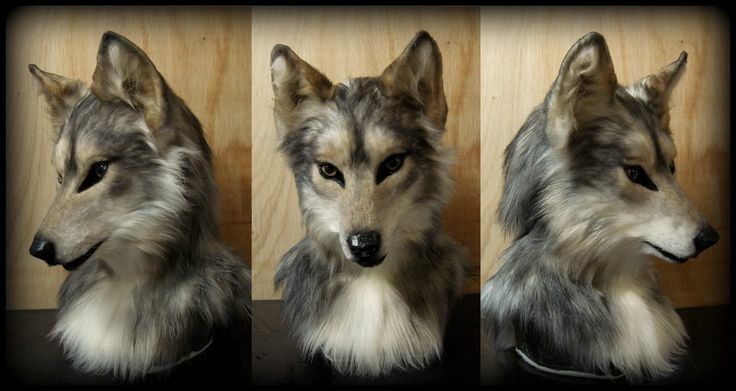 One sample maker I like myself is the fursuit heads from Clockwork Creature Studio. Highly realistic, but uber expensive $$$$$. And very proportional to your own head size. Best course of action to what you want is to start emailing various fursuit makers and ask them what they can and cannot do for you. P.S. 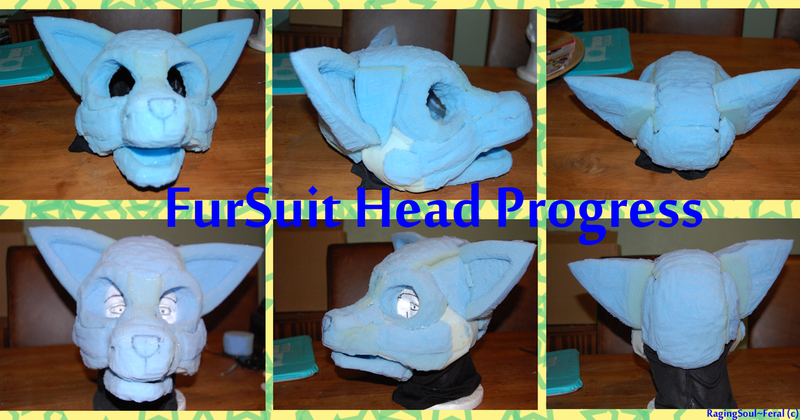 - Thing to remember about fursuit head sizes is that not only does the foam and other construction materials make the head look big, but also the style, pattern, colors, pile length, of fur used can give the "impression" of a much bigger head than what is there. For example, if a fursuit head has a large mane of fur (Like a lion.) or shaggy fur, etc., then that is going to give the "impression" of a fursuit head being much bigger than what it is.